The following is a list of chartered cities in the Philippines. Philippine cities are classified into three groups: Highly Urbanized Cities (HUC), Independent Component Cities (ICC), and Component Cities (CC). Highly Urbanized Cities are local government units autonomous from provinces that have a minimum population of 200,000 and an annual income of at least ₱ 50 million (in 1991 constant prices). Independent Component Cities are cities outside of provincial jurisdiction (although some are allowed to participate in the election of provincial officials) that have not yet attained the 'highly urbanized' status, while Component Cities are those under a province's jurisdiction. In addition, each city is classified into six income brackets according to income in a four-year period. For instance, First Class cities have an income of ₱ 400 Million or more, while Sixth Class cities earn less than ₱ 80 Million in a four-year period. Each city is governed by both the Local Government Code of 1991 and the city's own municipal charter, under the laws of the Republic of the Philippines. Davao City, the largest in terms of land area. San Juan, the smallest in terms of land area. There are 145 cities of the Philippines as of September 30, 2016. Thirty-three of these are Highly Urbanized (HUC), five are Independent Component (ICC), with the rest being components (CC) of their respective provinces. City charter documents, if available, could be accessed by clicking on the related external link (CA indicates Commonwealth Act, RA for Republic Act). ^ a b Highly urbanized cities (HUC) and independent component cities (ICC) are legally independent from any province, although they are often grouped with the province they belonged to prior to becoming cities. The province indicated for such cities, as grouped by the National Statistical Coordination Board, is in italics. ^ Some of these city charters have been replaced, revised, or amended since. The link to the text of the original city charter is given if available online. ^ Most city charters were approved after being signed by the president. However, some were approved only after they lapsed into law, i.e. becoming law without the president's signature, which is possible if 30 days after being sent to the president's office for approval the act has remained unsigned. ^ Before 1987, most municipalities gained cityhood immediately after the enactment or approval of their city charters. Only few pre-1987 city charters had a set date of effectivity (such as Tagbilaran's and Dipolog's) or required a plebiscite for the city to acquire corporate existence (such as Caloocan's or Laoag's). However, since 1987 city charters require ratification through a plebiscite, with a majority of votes cast by city residents affirming the charter. If not enough information is available, a charter's date of approval is assumed to be its date of effectivity, and the date is in italics. ^ Population figure for Angeles includes residents of disputed areas between this city's Brgy. Balibago and Brgy. Dolores, Mabalacat, Pampanga. ^ a b c Prior to receiving their charters, Quezon City, Caloocan and Pasay were part of the province of Rizal, and remained only nominally so until the organization of Metro Manila in 1975. ^ a b c d e f g h i j k Prior to the organization of the Metropolitan Manila Area in 1975, the then-municipalities of Mandaluyong, Pasig, Malabon, Makati, Muntinlupa, Las Piñas, Parañaque, Taguig, Navotas and San Juan were part of the province of Rizal. ^ Population figure for Mabalacat excludes residents of disputed areas between this city's Brgy. Dolores and Brgy. Balibago, Angeles City. ^ a b Land area and population figures for Makati exclude Brgys. Post Proper Northside and Post Proper Southside, which are still administered by the City of Makati, but the courts have ruled, in 2003, are part of Taguig. ^ Population figure for Pasig City excludes residents in areas disputed between this city and the municipality of Cainta, Rizal. ^ a b Land area and population figures for Taguig include Brgys. Post Proper Northside and Post Proper Southside, which are still administered by the City of Makati, but ruled in court to be part of Taguig in 2003. ^ Prior to the organization of the Metropolitan Manila Area in 1975, the then-municipality of Valenzuela was a part of the province of Bulacan. Many pre-1987 cities had set dates of inauguration (where the president or a high-ranking government official participates in ceremonies marking the attainment of cityhood) or had set dates of organization (where the newly converted city officially starts to fully function as expected). These dates may be set by the President, city officials or Congress. ^ National Statistical Coordination Board. "City Classification". Archived from the original on 13 September 2012. Retrieved 20 August 2012. ^ Congress of the Philippines (10 October 1991). "An Act Providing for a Local Government Code of 1991". Retrieved 20 August 2012. ^ "PSA ActiveStats - PSGC Interactive - List of Cities". Philippine Statistics Authority. 30 September 2016. Retrieved 30 November 2016. ^ a b "List of Cities". Philippine Statistics Authority – National Statistical Coordination Board. Archived from the original (Web page) on 29 April 2011. Retrieved 23 February 2016. ^ "List of HUCs, ICCs and CCs by Income Classification by Region; as of June 30, 2010" (PDF). Department of the Interior and Local Government. 30 June 2010. Retrieved 24 February 2016. ^ a b "Republic Act No. 9025; An Act Converting the Municipality of Alaminos, Province of Pangasinan into a Component City to be Known as the City of Alaminos" (PDF). House of Representatives of the Philippines. 5 March 2001. Archived from the original (PDF) on 3 March 2016. Retrieved 23 February 2016. ^ "Local History; Timeline". City of Alaminos. Retrieved 24 February 2016. March 28, 2001 – Eighty-five percent (85%) of Alaminians voted 'Yes' in a plebiscite, making Alaminos the fourth city of the province of Pangasinan. ^ a b "Republic Act No. 3700; An Act Creating the City of Angeles". Chan Robles Virtual Law Library. 22 June 1963. Retrieved 23 February 2016. ^ a b "Republic Act No. 8508; An Act Converting the Municipality of Antipolo into a Component City to be Known as the City of Antipolo" (PDF). House of Representatives of the Philippines. 13 February 1998. Archived from the original (PDF) on 3 March 2016. Retrieved 23 February 2016. ^ "Commonwealth Act No. 326 – An Act Creating the City of Bacolod". Chan Robles Virtual Law Library. Retrieved 23 February 2016. ^ "Barangay Alangilan". Official Website of Bacolod City. Archived from the original on 24 September 2015. Retrieved 25 August 2016. The most historic event took place in 1938 when Bacolod was elevated into a city through Commonwealth Act 326 passed by the National Assembly creating the Chartered City of Bacolod. ... The law was passed on June 18, 1938, but it was not until October 19, 1938 that the city was inaugurated because of persistent rains during the year. Bacolod was proclaimed as Chartered City by virtue of Commonwealth Act No. 404. ^ "Proclamation No. 325; Amending Proclamation No. 322, dated September 23, 1938, so as to Set aside October 19, 1938, as a Day for the Inauguration of the City of Bacolod, and Declaring It a Special Public Holiday for the Province of Negros Occidental". Official Gazette of the Republic of the Philippines. Malacañan Palace, Manila, Philippines. 3 October 1938. Retrieved 24 February 2016. "By virtue of the powers conferred upon me by law, I, Manuel L. Quezon, President of the Philippines, do hereby set aside October nineteenth, One thousand nine hundred thirty-eight, for the inauguration of the City of Bacolod, created by Commonwealth Act Numbered Three hundred twenty-six, as amended by Commonwealth Act Numbered Four hundred four. ^ a b "Republic Act No. 10160; An Act Converting the Municipality of Bacoor in the Province of Cavite into a Component City to be Known as the City of Bacoor" (PDF). Senate of the Philippines. 10 April 2012. Retrieved 23 February 2016. ^ Cinco, Maricar (26 June 2012). "36,226 residents ratify Bacoor's conversion into city". Philippine Daily Inquirer. Inquirer Southern Luzon. Retrieved 24 February 2016. Bacoor in Cavite is now officially a city after 36,226 of its residents voted "yes" in favor of the town’s conversion into a city. Annie Laceda, Bacoor municipal election officer, announced the results of the plebiscite which drew 40,080 votes on June 23. Only 3,854 residents rejected the conversion. ^ a b "Republic Act No. 4382 – An Act Creating the City of Bago". Chan Robles Virtual Law Library. 19 June 1965. Retrieved 23 February 2016. ^ a b "Republic Act No. 5444 – An Act Creating the City of Bais". Chan Robles Virtual Law Library. 9 Sep 1968. Retrieved 23 February 2016. ^ a b "Republic Act No. 8984; An Act Converting the Municipality of Balanga, Bataan Province into a Component City to be Known as the City of Balanga" (PDF). House of Representatives of the Philippines. 5 December 2000. Archived from the original (PDF) on 4 March 2016. Retrieved 23 February 2016. ^ a b "Republic Act No. 9407; An Act Converting the Municipality of Batac in the Province of Ilocos Norte into a Component City to be Known as the City of Batac". The LawPhil Project. Congress of the Philippines. 24 Mar 2007. Retrieved 23 February 2016. ^ a b "Republic Act No. 5495; An Act Creating Batangas City". The LawPhil Project. 21 June 1969. Retrieved 23 February 2016. ^ a b "Republic Act No. 8983; An Act Converting the Municipality of Bayawan in the Province of Negros Oriental into a Component City to be Known as the City of Bayawan" (PDF). Chan Robles Virtual Law Library. 5 Dec 2000. Archived from the original (PDF) on 5 March 2016. Retrieved 23 February 2016. ^ a b "Republic Act No. 9389; An Act Converting the Municipality of Baybay in the Province of Leyte into a Component City to be Known as the City of Baybay". The LawPhil Project. Congress of the Philippines. 15 Mar 2007. Retrieved 23 February 2016. ^ a b "Republic Act No. 9405; An Act Converting the Municipality of Bayugan in the Province of Agusan del Sur into a Component City to be Known as the City of Bayugan" (PDF). Senate of the Philippines. Congress of the Philippines. 23 Mar 2007. Retrieved 23 February 2016. ^ a b "Republic Act No. 9740; An Act Converting the Municipality of Biñan in the Province of Laguna into a Component City to be Known as the City of Biñan" (PDF). House of Representatives of the Philippines. 30 October 2009. Archived from the original (PDF) on 4 March 2016. Retrieved 23 February 2016. ^ "PSGC Updates (01 January to 31 March 2010)". Philippine Statistics Authority – National Statistical Coordination Board. 17 May 2010. Archived from the original on 14 November 2012. Retrieved 22 January 2018. ^ a b "Republic Act No. 8804; An Act Converting the Municipality of Bislig into a Component City to be Known as the City of Bislig" (PDF). House of Representatives of the Philippines. 16 August 2000. Archived from the original (PDF) on 3 March 2016. Retrieved 23 February 2016. ^ a b "Republic Act No. 9390; An Act Converting the Municipality of Bogo, Cebu Province into a Component City to be Known as the City of Bogo". Chan Robles Virtual Law Library. Congress of the Philippines. 15 Mar 2007. Retrieved 23 February 2016. ^ a b "Republic Act No. 9394; An Act Converting the Municipality of Borongan in the Province of Eastern Samar into a Component City to be Known as the City of Borongan". Chan Robles Virtual Law Library. Congress of the Philippines. 16 March 2007. Retrieved 23 February 2016. ^ a b "Republic Act No. 523 – An Act Creating the City of Butuan". Chan Robles Virtual Law Library. 15 June 1950. Retrieved 23 February 2016. ^ "House Bill 00974" (PDF). House of Representatives of the Philippines. Quezon City, Philippines. 4 July 2016. Retrieved 25 August 2016. Butuan became a political entity in 1907 through the enactment of Act No. 1693 and a city by virtue of Republic Act No. 523, otherwise known as the Charter of the City of Butuan, which was signed into law on August 2, 1950. ^ a b "Republic Act No. 9434; An Act Converting the Municipality of Cabadbaran into a Component City of the Province of Agusan Del Norte to be Known as the City of Cabadbaran" (PDF). Senate of the Philippines. Congress of the Philippines. 12 Apr 2007. Retrieved 23 February 2016. ^ a b c d e "Five (5) New Cities, Two (2) Municipalities and a Barangay created in the Third Quarter of 2007". Philippine Statistics Authority – National Statistical Coordination Board. 13 November 2007. Archived from the original on 24 November 2007. Retrieved 24 February 2016. ^ a b "Republic Act No. 526 – An Act Creating the City of Cabanatuan". Chan Robles Virtual Law Library. 16 Jun 1950. Retrieved 23 February 2016. ^ a b c d "Implementation and Replication of the Sustainable Cities Programme Process at City and National Level; Case studies from nine cities" (PDF). p. 79. Archived from the original (PDF) on 21 February 2012. Retrieved 25 August 2016. ^ a b "Republic Act No. 10163; An Act Converting the Municipality of Cabuyao in the Province of Laguna into a Component City to be Known as the City of Cabuyao" (PDF). Senate of the Philippines. Congress of the Philippines. 16 May 2012. Retrieved 23 February 2016. ^ a b c "PSGC Updates (July 1, 2012 to September 30, 2012); II. Converted Municipalities into Cities (3rd Quarter of 2012)". Philippine Statistics Authority – National Statistical Coordination Board. 8 November 2012. Archived from the original on 14 November 2012. Retrieved 22 January 2018. ^ a b "Republic Act No. 4894 – An Act Creating the City of Cadiz". Chan Robles Virtual Law Library. 17 June 1967. Retrieved 23 February 2016. ^ "Brief History". City of Cadiz. Archived from the original on 17 February 2012. Retrieved 25 August 2016. On July 4, 1967, Cadiz was inaugurated as a City with the approval of Republic Act 4894 in June 17, 1967 in Congress. ^ a b "Republic Act No. 521 – An Act Creating the City of Cagayan de Oro". Chan Robles Virtual Law Library. 15 June 1950. Retrieved 23 February 2016. ^ "Brief History". Cagayan de Oro City Website. Department of Trade and Industry. 2001. Archived from the original on 3 July 2003. Retrieved 25 August 2016. President Elpidio Quirino signed the city charter at 11:30 in the morning of June 15, 1950. ^ a b "Republic Act No. 9024; An Act Converting the Municipality of Calamba, Province of Laguna into a Component City to be Known as the City of Calamba" (PDF). House of Representatives of the Philippines. 5 March 2001. Archived from the original (PDF) on 4 March 2016. Retrieved 23 February 2016. ^ a b "Republic Act No. 8475; An Act Converting the Municipality of Calapan in the Province of Oriental Mindoro into a Component City to be Known as the City of Calapan" (PDF). House of Representatives of the Philippines. 2 February 1998. Archived from the original (PDF) on 3 March 2016. Retrieved 23 February 2016. ^ a b "Republic Act No. 328 – An Act Creating the City of Calbayog". Chan Robles Virtual Law Library. 15 July 1948. Retrieved 23 February 2016. ^ Catalan, Aimee (19 October 2013). "Calbayog City celebrates its 65th birthday". Official Website of the City Government of Calbayog. Local Government Unit of Calbayog City. Archived from the original on 25 August 2016. Retrieved 25 August 2016. Calbayog became a City in 1948 at Jose Dira Avelino's instance when, as President of the Senate,pulled together three contiguous municipalities, Oquendo, Calbayog and Tinambacan, and made it into the 19th city of the Philippines on October 16, 1948. ^ a b "Republic Act No. 3278 – An Act Creating the City of Caloocan". Chan Robles Virtual Law Library. 17 June 1961. Retrieved 23 February 2016. ^ a b "Republic Act No. 9018; An Act Converting the Municipality of Candon, Province of Ilocos Sur into a Component City to be Known as the City of Candon" (PDF). House of Representatives of the Philippines. 5 March 2001. Archived from the original (PDF) on 4 March 2016. Retrieved 23 February 2016. ^ a b "Republic Act No. 3445 – An Act Creating the City of Canlaon". Chan Robles Virtual Law Library. 18 June 1961. Retrieved 23 February 2016. ^ a b "Republic Act No. 9436; An Act Converting the Municipality of Carcar in the Province of Cebu into a Component City to be Known as the City of Carcar" (PDF). Senate of the Philippines. Congress of the Philippines. 15 April 2007. Retrieved 23 February 2016. ^ a b "Republic Act No. 9391; An Act Converting the Municipality of Catbalogan in the Province of Samar into a Component City to be Known as the City of Catbalogan". Chan Robles Virtual Law Library. Congress of the Philippines. 15 Mar 2007. Retrieved 23 February 2016. ^ a b "Republic Act No. 9017; An Act Converting the Municipality of Cauayan, Province of Isabela into a Component City to be Known as the City of Cauayan" (PDF). House of Representatives of the Philippines. 28 February 2001. Archived from the original (PDF) on 4 March 2016. Retrieved 23 February 2016. ^ "Commonwealth Act No. 547 – An Act Creating the City of Cavite". Chan Robles Virtual Law Library. Retrieved 23 February 2016. ^ "Commonwealth Act No. 58 – An Act Creating the City of Cebu". Chan Robles Virtual Law Library. Retrieved 23 February 2016. ^ "The Law creating the City of Cebu". Cebu City Government. Archived from the original on 8 December 2002. Retrieved 25 August 2016. On February 4, 1937, the City of Cebu was inaugurated. ^ a b "Republic Act No. 2364 – An Act Creating the City of Cotabato". Chan Robles Virtual Law Library. 20 June 1959. Retrieved 23 February 2016. ^ a b "Republic Act No. 170 – An Act Creating the City of Dagupan". Chan Robles Virtual Law Library. 20 June 1947. Retrieved 23 February 2016. ^ "Part V; Dagupan Becomes a City". Dagupan.com. Archived from the original on 3 March 2016. Retrieved 25 August 2016. Dagupan became a city by virtue of Republic Act 170. ... Authored by then Speaker Eugenio Perez, it was Signed into law by President Manuel A. Roxas on June 20, 1947· By ruling of the Supreme Court, Dagupan became a city on the day the city charter was approved into law June 20, 1847. ^ a b "Republic Act No. 3028 – An Act Creating Danao City". Chan Robles Virtual Law Library. 7 June 1961. Retrieved 23 February 2016. ^ a b "Republic Act No. 3811; An Act Creating the City of Dapitan". The LawPhil Project. 22 June 1963. Retrieved 23 February 2016. ^ a b "Republic Act No. 9723; An Act Converting the Municipality of Dasmariñas in the Province of Cavite into a Component City to be Known as the City of Dasmariñas" (PDF). Senate of the Philippines. Congress of the Philippines. 15 October 2009. Archived from the original (PDF) on 11 June 2011. Retrieved 23 February 2016. ^ "PSGC Updates (October 1 to December 31 2009)". Philippine Statistics Authority – National Statistical Coordination Board. 23 February 2010. Archived from the original on 14 November 2012. Retrieved 22 January 2018. ^ "Commonwealth Act No. 51 – An Act Creating the City of Davao". Chan Robles Virtual Law Library. Retrieved 23 February 2016. ^ a b "Davao City: On the Move to Progress". Official Website of Davao City. Archived from the original on 20 January 2011. Retrieved 25 August 2016. Davao was created as a city when then Assemblyman Romualdo C. Quimpo of Davao sponsored a bill in Congress in March 16, 1936, making Davao a chartered city. The said bill was signed into law by President Manuel L. Quezon on October 16, 1936. The formal inauguration was held on March 1, 1937. ^ a b "Republic Act No. 8798; An Act Converting the Municipality of Digos, Davao del Sur Province, into a Component City to be Known as the City of Digos" (PDF). House of Representatives of the Philippines. 15 July 2000. Archived from the original (PDF) on 12 February 2012. Retrieved 23 February 2016. ^ a b "Republic Act No. 5520; An Act Creating the City of Dipolog". The LawPhil Project. 21 June 1969. Retrieved 23 February 2016. ^ a b "Republic Act No. 327 – An Act Creating the City of Dumaguete". Chan Robles Virtual Law Library. 15 July 1948. Retrieved 23 February 2016. ^ "Dumaguete City; Statistical Profile". CVISNet Foundation, Inc. Archived from the original on 27 September 2007. Retrieved 25 August 2016. ^ a b "Republic Act No. 9435; An Act Converting the Municipality of El Salvador in the Province of Misamis Oriental into a Component City to be Known as the City of El Salvador" (PDF). Senate of the Philippines. Congress of the Philippines. 12 April 2007. Retrieved 23 February 2016. ^ a b "Republic Act No. 9014; An Act Converting the Municipality of Escalante, Province of Negros Occidental into a Component City to be Known as the City of Escalante" (PDF). House of Representatives of the Philippines. 28 February 2001. Archived from the original (PDF) on 23 September 2015. Retrieved 23 February 2016. ^ a b "Republic Act No. 9022; An Act Converting the Municipality of Gapan, Province of Nueva Ecija into a Component City to be Known as the City of Gapan" (PDF). House of Representatives of the Philippines. 5 March 2001. Archived from the original (PDF) on 5 March 2016. Retrieved 23 February 2016. ^ a b "Republic Act No. 5412; An Act Creating the City of General Santos". The LawPhil Project. 15 June 1968. Retrieved 23 February 2016. ^ a b "Republic Act No. 10675; An Act Converting the Municipality of General Trias in the Province of Cavite into a Component City to be Known as the City of General Trias". Official Gazette of the Republic of the Philippines. Congress of the Philippines. 19 Aug 2015. Retrieved 23 February 2016. ^ "PSGC Updates (October to December 2015)". Philippine Statistics Authority – National Statistical Coordination Board. 31 December 2015. Archived from the original on 4 March 2016. Retrieved 24 February 2016. Republic Act No. 10675, converting Municipality of General Trias into a component city was ratified through a plebiscite conducted by the COMELEC on December 12, 2015. ^ a b "Republic Act No. 2668 – An Act Creating the City of Gingoog". Chan Robles Virtual Law Library. 18 June 1960. Retrieved 23 February 2016. ^ a b "Republic Act No. 9409; An Act Converting the Municipality of Guihulngan in the Province of Negros Oriental into a Component City to be Known as the City of Guihulngan". Chan Robles Virtual Law Library. Congress of the Philippines. 24 March 2007. Retrieved 23 February 2016. ^ a b "Republic Act No. 9028; An Act Converting the Municipality of Himamaylan, Province of Negros Occidental into a Component City to be Known as the City of Himamaylan" (PDF). House of Representatives of the Philippines. 5 March 2001. Archived from the original (PDF) on 4 March 2016. Retrieved 23 February 2016. ^ a b "Republic Act No. 10169; An Act Converting the Municipality of Ilagan in the Province of Isabela into a Component City to be Known as the City of Iligan" (PDF). House of Representatives of the Philippines. 21 June 2012. Archived from the original (PDF) on 4 March 2016. Retrieved 23 February 2016. ^ a b "Republic Act No. 525 – An Act Creating the City of Iligan". Chan Robles Virtual Law Library. 16 June 1950. Retrieved 23 February 2016. ^ Defensor, Melinda C. (20 October 2006). "The Official Online Home of the Province of Iloilo". Province of Iloilo. Archived from the original on 23 March 2010. Retrieved 25 August 2016. Because it progressed steadily, the Commonwealth Act No. 158 incorporated the surrounding towns of Lapaz, Jaro, Mandurriao and Arevalo to form Iloilo City and was finally inaugurated on Aug. 25, 1937, and was dubbed as the "Queen City of the South". ^ a b "Republic Act No. 10161; An Act Converting the Municipality of Imus in the Province of Cavite into a Component City to be Known as the City of Imus" (PDF). Senate of the Philippines. Congress of the Philippines. 10 April 2012. Retrieved 23 February 2016. ^ "Two Municipalities Converted into Cities in the Second Quarter of 2012". Philippine Statistics Authority – National Statistical Coordination Board. 13 August 2012. Retrieved 24 February 2016. ... the conversion of the Municipality of Imus in the Province of Cavite in Region IV-A (CALABARZON) into a Component City was pursuant to Republic Act No. 10161 and ratified through a plebiscite conducted by the COMELEC on June 30, 2012. ^ a b "Republic Act No. 5261 – An Act Creating the City of Iriga". Chan Robles Virtual Law Library. 15 June 1968. Retrieved 23 February 2016. ^ "City of Iriga". The Official Website of City of Iriga. 24 June 2004. Archived from the original on 30 September 2007. Retrieved 25 August 2016. ^ a b "Republic Act No. 9023; An Act Converting the Municipality of Isabela, Province of Basilan into a Component City to be Known as the City of Isabela" (PDF). House of Representatives of the Philippines. 5 March 2001. Archived from the original (PDF) on 4 March 2016. Retrieved 23 February 2016. ^ a b "Republic Act No. 8297; An Act Converting the Municipality of Kabankalan into a Component City of the Province of Negros Occidental, to be Known as the City of Kabankalan" (PDF). House of Representatives of the Philippines. 6 June 1997. Archived from the original (PDF) on 4 March 2016. Retrieved 23 February 2016. ^ a b "Republic Act No. 8500; An Act Converting the Municipality of Kidapawan in the Province of Cotabato into a Component City to be Known as the City of Kidapawan" (PDF). House of Representatives of the Philippines. 12 February 1998. Archived from the original (PDF) on 4 March 2016. Retrieved 23 February 2016. ^ a b "Republic Act No. 8803; An Act Converting the Municipality of Koronadal, South Cotabato Province, into a Component City to be Known as the City of Koronadal" (PDF). House of Representatives of the Philippines. 16 August 2000. Archived from the original (PDF) on 3 March 2016. Retrieved 23 February 2016. ^ a b "Republic Act No. 4585; An Act Creating the City of La Carlota". The LawPhil Project. 19 June 1965. Retrieved 23 February 2016. ^ a b "Republic Act No. 9393; An Act Converting the Municipality of Lamitan in the Province of Basilan into a Component City to be Known as the City of Lamitan". The LawPhil Project. Congress of the Philippines. 15 March 2007. Retrieved 23 February 2016. ^ a b "Republic Act No. 4584; An Act Creating the City of Laoag". Chan Robles Virtual Law Library. 19 June 1965. Retrieved 23 February 2016. ^ a b "Republic Act No. 3134; An Act Creating the City of Lapu-Lapu". Chan Robles Virtual Law Library. 17 June 1961. Retrieved 23 February 2016. ^ Oaminal, Clarence Paul (24 July 2015). "Lapu-Lapu City, Cebu Charter". The Freeman. The Philippine Star. Retrieved 25 August 2016. The Municipality of Opon was converted into a city and renamed as Lapu-Lapu City by virtue of Republic Act 3134 enacted on June 17, 1961. ... Lapu-Lapu City was inaugurated on December 31, 1961. ^ a b "Republic Act No. 8251; An Act Converting the Municipality of Las Piñas into a Highly-Urbanized City to be Known as the City of Las Piñas" (PDF). House of Representatives of the Philippines. 12 February 1997. Archived from the original (PDF) on 3 March 2016. Retrieved 23 February 2016. ^ a b "Republic Act No. 2234; An Act Creating the City of Legazpi". The LawPhil Project. 12 June 1959. Retrieved 23 February 2016. ^ a b "Republic Act No. 9008; An Act Converting the Municipality of Ligao, Province of Albay into a Component City to be Known as the City of Ligao" (PDF). House of Representatives of the Philippines. 21 February 2001. Archived from the original (PDF) on 4 March 2016. Retrieved 23 February 2016. ^ a b "Republic Act No. 162 – An Act Creating the City of Lipa". Chan Robles Virtual Law Library. 20 June 1947. Retrieved 23 February 2016. ^ "Modern Times". De La Salle Lipa. 2005. Archived from the original on 27 September 2007. Retrieved 25 August 2016. On June 20, 1947, the town of Lipa became a Chartered City under Republic Act No. 162 sponsored by the Speaker Jose B. Laurel and signed by President Manuel Roxas. ^ a b "Republic Act No. 3271 – An Act Creating the City of Lucena". Chan Robles Virtual Law Library. 17 June 1961. Retrieved 23 February 2016. ^ "History". City Government of Lucena. Archived from the original on 15 April 2008. Retrieved 25 August 2016. Lucena became Chartered City by virtue of Republic Act No. 3271 on June 17, 1961 through the efforts of then Congressman Manuel S. Enverga. On August 19, 1962, Lucena City was inaugurated while celebrating the 84th Anniversary of Manuel Luis Quezon. ^ a b "Republic Act No. 8796; An Act Converting the Municipality of Maasin into a Component City of the Province of Southern Leyte to be Known as the City of Maasin" (PDF). House of Representatives of the Philippines. 11 July 2000. Archived from the original (PDF) on 3 March 2016. Retrieved 23 February 2016. ^ a b "Republic Act No. 10164; An Act Converting the Municipality of Mabalacat in the Province of Pampanga into a Component City to be Known as Mabalacat City" (PDF). Senate of the Philippines. Congress of the Philippines. 15 May 2012. Retrieved 23 February 2016. ^ a b "Republic Act No. 7854; An Act Converting the Municipality of Makati into a Highly Urbanized City to be Known as the City of Makati" (PDF). House of Representatives of the Philippines. 2 January 1995. Archived from the original (PDF) on 4 March 2016. Retrieved 23 February 2016. ^ a b "Republic Act No. 9019; An Act Converting the Municipality of Malabon into a Highly Urbanized City to be Known as the City of Malabon" (PDF). House of Representatives of the Philippines. 5 March 2001. Archived from the original (PDF) on 4 March 2016. Retrieved 23 February 2016. ^ a b "Republic Act No. 8490; An Act Converting the Municipality of Malaybalay into a Component City of the Province of Bukidnon, to be Known as the City of Malaybalay" (PDF). House of Representatives of the Philippines. 11 February 1998. Archived from the original (PDF) on 5 March 2016. Retrieved 23 February 2016. ^ a b "Republic Act No. 8754; An Act Converting the Municipality of Malolos, Bulacan Province into a Component City to be Known as the City of Malolos" (PDF). House of Representatives of the Philippines. 4 November 1999. Archived from the original (PDF) on 4 March 2016. Retrieved 23 February 2016. ^ Reyes, Carmela (10 October 2002). "Comelec Removes Block to Cityhood of Malolos". Google News. Philippine Daily Inquirer. Retrieved 7 January 2016. ^ a b "Republic Act No. 7675; An Act Converting the Municipality of Mandaluyong into a Highly Urbanized City to be Known as the City of Mandaluyong" (PDF). House of Representatives of the Philippines. 9 February 1994. Archived from the original (PDF) on 3 March 2016. Retrieved 23 February 2016. ^ a b "Republic Act No. 5519; An Act Creating the City of Mandaue". The LawPhil Project. 21 June 1969. Retrieved 23 February 2016. ^ a b "An Act to Incorporate the City of Manila". Manila, Philippines: United States Philippine Commission. 31 July 1901. Retrieved 23 February 2016. ^ "Commonwealth Act No. 592 – An Act to Create the City of Dansalan". Chan Robles Virtual Law Library. Retrieved 23 February 2016. ^ a b "Marawi City: The Least Populated Highly Urbanized City". Philippine Statistics Authority. Philippine Statistics Authority. 18 September 2002. Archived from the original on 21 February 2012. Retrieved 25 August 2016. The old Dansalan became a charter city on August 19, 1940, pursuant to Commonwealth Act No. 592, but was inaugurated only on September 30, 1950, due to the Pacific War. ^ a b "Republic Act No. 8223; An Act Converting the Municipality of Marikina into a Highly Urbanized City to be Known as the City of Marikina" (PDF). House of Representatives of the Philippines. 6 November 1996. Archived from the original (PDF) on 12 February 2012. Retrieved 23 February 2016. ^ a b "Republic Act No. 8807; An Act Converting the Municipality of Masbate into a Component City of the Province of Masbate to be Known as the City of Masbate" (PDF). House of Representatives of the Philippines. 16 August 2000. Archived from the original (PDF) on 5 March 2016. Retrieved 23 February 2016. ^ a b "Republic Act No. 9408; An Act Converting the Municipality of Mati in the Province of Davao Oriental into a Component City to be Known as the City of Mati". The LawPhil Project. Congress of the Philippines. 24 Mar 2007. Retrieved 23 February 2016. ^ a b "Republic Act No. 9356; An Act Converting the Municipality of Meycauayan in the Province of Bulacan into a Component City to Re Known as the City of Meycauayan" (PDF). Senate of the Philippines. Congress of the Philippines. 2 October 2006. Retrieved 23 February 2016. ^ "PSGC Updates (October – December 2006); IV. Converted Municipality into City". Philippine Statistics Authority – National Statistical Coordination Board. Archived from the original on 30 September 2007. Retrieved 24 February 2016. Republic Act No. 9356; ratified through COMELEC plebiscite on December 10, 2006. ^ a b "Republic Act No. 8977; An Act Converting the Municipality of Muñoz in the Province of Nueva Ecija into a Component City to be Known as the Science City of Muñoz" (PDF). House of Representatives of the Philippines. 7 November 2000. Archived from the original (PDF) on 4 March 2016. Retrieved 23 February 2016. ^ a b "Republic Act No. 7926 – An Act Converting the Municipality of Muntinlupa into a Highly Urbanized City to be Known as the City of Muntinlupa". Chan Robles Virtual Law Library. 1 March 1995. Retrieved 23 February 2016. ^ a b "Republic Act No. 305 – An Act Creating the City of Naga". Chan Robles Virtual Law Library. 18 June 1948. Retrieved 23 February 2016. ^ a b "Republic Act No. 9491; An Act Converting the Municipality of Naga in the Province of Cebu into a Component City to be Known as the City of Naga" (PDF). Senate of the Philippines. Congress of the Philippines. 15 Jul 2007. Retrieved 23 February 2016. ^ a b "Republic Act No. 9387; An Act Converting the Municipality of Navotas Into a Highly Urbanized City to be Known as the City of Navotas" (PDF). House of Representatives of the Philippines. 10 Mar 2007. Archived from the original (PDF) on 3 March 2016. Retrieved 23 February 2016. ^ a b "Republic Act No. 4645; An Act Creating the City of Olongapo". The LawPhil Project. 1 June 1966. Retrieved 23 February 2016. ^ a b "Republic Act No. 179 – An Act Creating Ormoc City". Chan Robles Virtual Law Library. 21 June 1947. Retrieved 23 February 2016. 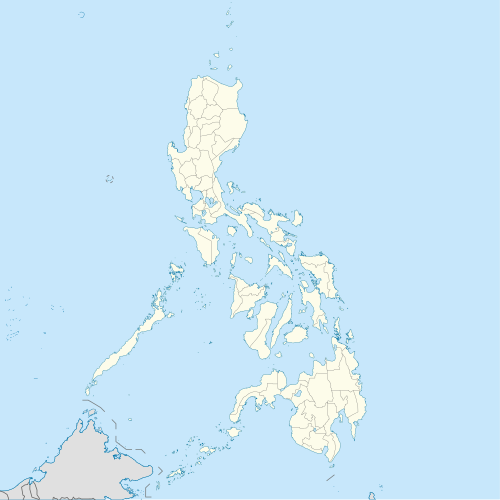 ^ "Ormoc City Profile". City Development Strategies in the Philippines. 2007. Archived from the original on 8 October 2007. Retrieved 25 August 2016. Ormoc became a city through Republic Act No. 179 fathered by Congressman Dominador Tan, which was approved on June 21, 1947. The late first President of the Philippine Republic Manuel A. Roxas proclaimed Ormoc a city on September 4, 1947. By virtue of Presidential Proclamation No. 42, Ormoc was formally inaugurated as a city on October 20, 1947, exactly three years after the famous Leyte Landing. ^ a b "Republic Act No. 5518 – An Act Creating the City of Oroquieta". Chan Robles Virtual Law Library. 21 June 1969. Retrieved 23 February 2016. ^ a b "Republic Act No. 321 – An Act Creating the City of Ozamiz". Chan Robles Virtual Law Library. 19 June 1948. Retrieved 23 February 2016. ^ "Region 10 – Cagayan de Oro Tourism Situationer 6". VisitMyPhilippines.com. Department of Tourism. p. 101. Archived from the original (DOC) on 30 September 2007. Retrieved 7 January 2016. Approximately, three years after World War II, Misamis became a Chartered City on July 16, 1948 by virtue of House Bill No. 1656. The town of Misamis was formally inaugurated as Ozamiz City on July 16, 1948. ^ a b "Republic Act No. 5478 – An Act Creating the City of Pagadian". Chan Robles Virtual Law Library. 21 June 1969. Retrieved 23 February 2016. ^ a b "Republic Act No. 4475 – An Act Establishing the New Capital of the Province of Nueva Ecija, Creating the City of Palayan, Providing a Charter Therefor, and for Other Purposes General Provisions". Chan Robles Virtual Law Library. 19 June 1965. Retrieved 23 February 2016. ^ a b "Republic Act No. 9015; An Act Converting the Municipality of Panabo, Province of Davao del Norte into a Component City to be Known as the City of Panabo" (PDF). House of Representatives of the Philippines. 28 February 2001. Archived from the original (PDF) on 4 March 2016. Retrieved 23 February 2016. ^ a b "Republic Act No. 8507; An Act Converting the Municipality of Parañaque into a Highly-Urbanized City to be Known as the City of Parañaque" (PDF). House of Representatives of the Philippines. 13 February 1998. Archived from the original (PDF) on 22 February 2016. Retrieved 23 February 2016. ^ a b "Republic Act No. 183 – An Act Creating the Rizal City". Chan Robles Virtual Law Library. 21 June 1947. Retrieved 23 February 2016. ^ "Executive Summary of the 1999 Annual Audit Report on the City Government of Pasay". Commission on Audit. Archived from the original on 13 December 2009. Retrieved 25 August 2016. By virtue of Republic Act No. 183 otherwise known as the Charter of Rizal City, the town of Pasay which was then a municipality of Rizal Province was declared a city on August 16, 1947. ^ a b "Republic Act No. 7829; An Act Converting the Municipality of Pasig into a Highly Urbanized City to be Known as the City of Pasig" (PDF). House of Representatives of the Philippines. 8 December 1994. Archived from the original (PDF) on 4 March 2016. Retrieved 23 February 2016. ^ a b "Republic Act No. 8469; An Act Converting the Municipality of Passi in the Province of Iloilo into a Component City to be Known as the City of Passi" (PDF). House of Representatives of the Philippines. 30 January 1998. Archived from the original (PDF) on 4 March 2016. Retrieved 23 February 2016. ^ a b "Republic Act No. 5906 – An Act Creating the City of Puerto Princesa". Chan Robles Virtual Law Library. 21 June 1969. Retrieved 23 February 2016. ^ "Commonwealth Act No. 502 – An Act to Create Quezon City". Chan Robles Virtual Law Library. Retrieved 23 February 2016. ^ a b "Republic Act No. 603 – An Act Creating the City of Roxas". Chan Robles Virtual Law Library. 11 April 1951. Retrieved 23 February 2016. ^ Lumaque, Alex A. (13 May 2016). "Roxas City celebrates 65th cityhood". Philippine Information Agency. Archived from the original on 26 August 2016. Retrieved 25 August 2016. The cityhood emanated from a bill for the creation of Roxas City, which was sponsored by then Rep. Ramon Arnaldo and was signed into law by President Elpidio Quirino on April 11, 1951, three years after Pres. Roxas died at 56. Executive Order 438 issued by Pres. Quirino fixed the date of its charter on May 12, 1951. ^ a b "Republic Act No. 8192; An Act Converting the Municipality of Sagay in the Province of Negros Occidental into a Component City to be Known as the City of Sagay" (PDF). House of Representatives of the Philippines. 11 June 1996. Archived from the original (PDF) on 4 March 2016. Retrieved 23 February 2016. ^ a b "Republic Act No. 8471; An Act Constituting the Three Municipalities of Babak, Samal and Kaputian of Samal Island, Province of Davao, into a Component City to be Known as the Island Garden City of Samal" (PDF). House of Representatives of the Philippines. 30 January 1998. Archived from the original (PDF) on 4 March 2016. Retrieved 23 February 2016. ^ a b "Republic Act No. 2643 – An Act Creating the City of San Carlos". Chan Robles Virtual Law Library. 18 June 1960. Retrieved 23 February 2016. ^ a b "Republic Act No. 4487 – An Act Creating the City of San Carlos in Pangasinan". Chan Robles Virtual Law Library. 19 June 1965. Retrieved 23 February 2016. ^ a b "Republic Act No. 8509; An Act Converting the Municipality of San Fernando, La Union, into a Component City to be Known as the City of San Fernando" (PDF). House of Representatives of the Philippines. 13 February 1998. Archived from the original (PDF) on 5 March 2016. Retrieved 23 February 2016. ^ a b "Republic Act No. 8990; An Act Converting the Municipality of San Fernando in the Province of Pampanga into a Component City to be Known as the City of San Fernando" (PDF). House of Representatives of the Philippines. 26 January 2001. Archived from the original (PDF) on 3 March 2016. Retrieved 23 February 2016. ^ a b "Republic Act No. 6051; An Act Creating San Jose City". The LawPhil Project. 4 August 1969. Retrieved 23 February 2016. ^ a b "Republic Act No. 8797; An Act Converting the Municipality of San Jose del Monte, Bulacan into a Component City to be Known as the City of San Jose del Monte" (PDF). House of Representatives of the Philippines. 15 July 2000. Archived from the original (PDF) on 2 April 2012. Retrieved 23 February 2016. ^ a b "Republic Act No. 9388; An Act Converting the Municipality of San Juan into a Highly Urbanized City to be Known as the City of San Juan" (PDF). House of Representatives of the Philippines. 11 March 2007. Archived from the original (PDF) on 3 March 2016. Retrieved 23 February 2016. ^ "Commonwealth Act No. 520 – An Act Creating the City of San Pablo". Chan Robles Virtual Law Library. Retrieved 23 February 2016. ^ a b "Republic Act No. 10420; An Act Converting the Municipality of San Pedro in the Province of Laguna into a Component City to be Known as the City of San Pedro" (PDF). Official Gazette of the Republic of the Philippines. Congress of the Philippines. 27 March 2013. Retrieved 23 February 2016. ^ "One Province Established and One Municipality Converted into a City in the Fourth Quarter of 2013". Philippine Statistics Authority. 17 January 2014. Retrieved 24 February 2016. ... the municipality of San Pedro in the province of Laguna in Region IV-A (CALABARZON) was converted into a Component City to be known as City of San Pedro pursuant to Republic Act No. 10420 and ratified through a plebiscite conducted by the COMELEC on December 28, 2013. ^ a b "Republic Act No. 9264; An Act Converting the Municipality of Santa Rosa in the Province of Laguna into a Component City to be Known as the City of Santa Rosa". Official Gazette of the Republic of the Philippines. Congress of the Philippines. 10 Mar 2004. Retrieved 23 February 2016. ^ "A City, Two Municipalities and Two Barangays were Created from January to July 2004". Philippine Statistics Authority – National Statistical Coordination Board. 22 August 2004. Archived from the original on 15 June 2006. Retrieved 24 February 2016. The municipality of Santa Rosa, Laguna was converted into a city pursuant to Republic Act No. 9264 dated March 10, 2004, ratified in the plebiscite held on July 10, 2004. ^ a b "Republic Act No. 7720; An Act Converting the Municipality of Santiago into an Independent Component City to be Known as the City of Santiago" (PDF). House of Representatives of the Philippines. 5 May 1994. Archived from the original (PDF) on 4 March 2016. Retrieved 23 February 2016. ^ a b "Republic Act No. 1621 – An Act Creating the City of Silay". Chan Robles Virtual Law Library. 12 June 1957. Retrieved 23 February 2016. ^ a b "Republic Act No. 9027; An Act Converting the Municipality of Sipalay, Province of Negros Occidental into a Component City to be Known as the City of Sipalay" (PDF). House of Representatives of the Philippines. 5 March 2001. Archived from the original (PDF) on 4 March 2016. Retrieved 23 February 2016. ^ a b "Republic Act No. 8806; An Act Creating the City of Sorsogon by Merging the Municipalities of Bacon and Sorsogon in the Province of Sorsogon and Appropriating Funds Therefor" (PDF). House of Representatives of the Philippines. 16 August 2000. Archived from the original (PDF) on 3 March 2016. Retrieved 23 February 2016. ^ a b "Republic Act No. 6134 – An Act Creating the City of Surigao". Chan Robles Virtual Law Library. 31 August 1970. Retrieved 23 February 2016. ^ a b "Republic Act No. 9020; An Act Converting the Municipality of Tabaco, Province of Albay into a Component City to be Known as the City of Tabaco" (PDF). House of Representatives of the Philippines. 5 March 2001. Archived from the original (PDF) on 5 March 2016. Retrieved 23 February 2016. ^ a b "Republic Act No. 9404; An Act Converting the Municipality of Tabuk into a Component City of the Province of Kalinga to be Known as the City of Tabuk" (PDF). Senate of the Philippines. Congress of the Philippines. 23 March 2007. Retrieved 23 February 2016. ^ a b "Republic Act No. 760 – An Act Creating the City of Tacloban". Chan Robles Virtual Law Library. 20 June 1952. Retrieved 23 February 2016. ^ "History". City Government of Tacloban. 2016. Retrieved 25 August 2016. On June 20, 1952, Tacloban was proclaimed a chartered city virtue of Republic Act No. 760 which took effect on June 12, 1953. ^ a b "Republic Act No. 8805; An Act Converting the Municipality of Tacurong into a Component City of the Province of Sultan Kudarat, to be Known as the City of Tacurong" (PDF). House of Representatives of the Philippines. 16 August 2000. Archived from the original (PDF) on 28 July 2013. Retrieved 23 February 2016. ^ a b "Commonwealth Act No. 338 – An Act to Incorporate the City of Tagaytay, and for Other Purposes". Chan Robles Virtual Law Library. 21 June 1938. Retrieved 23 February 2016. ^ a b "Republic Act No. 4660; An Act Creating the City of Tagbilaran". Chan Robles Virtual Law Library. 18 June 1966. Retrieved 23 February 2016. ^ a b "Republic Act No. 8487; An Act Converting the Municipality of Taguig, Metro Manila, into a Highly Urbanized City to be Known as the City of Taguig, and for Other Purposes" (PDF). House of Representatives of the Philippines. 11 February 1998. Archived from the original (PDF) on 3 March 2016. Retrieved 23 February 2016. ^ "A City and a Barangay Were Created (October 1 – December 31, 2004)". Philippine Statistics Authority – National Statistical Coordination Board. 27 January 2005. Archived from the original on 13 November 2012. Retrieved 22 January 2018. The number of cities increased to 117 in December 2004 from 116 in September of the same year due to the conversion of the municipality of Taguig in the NCR into a highly urbanized city effective December 8, 2004 pursuant to Republic Act No. 8487 dated April 25, 1998 and COMELEC Resolution on the Election Protest Case (EPC) No. 98-102 which declares and confirms the ratification and approval of the conversion. ^ a b "Republic Act No. 8472; An Act Converting the Municipality of Tagum, Davao Province, into a Component City to be Known as the City of Tagum" (PDF). House of Representatives of the Philippines. 30 January 1998. Archived from the original (PDF) on 4 March 2016. Retrieved 23 February 2016. ^ a b "Republic Act No. 8979; An Act Converting the Municipality of Talisay in the Province of Cebu into a Component City to be Known as the City of Talisay" (PDF). House of Representatives of the Philippines. 22 November 2000. Archived from the original (PDF) on 4 March 2016. Retrieved 23 February 2016. ^ a b "Republic Act No. 8489; An Act Converting the Municipality of Talisay, Negros Occidental, into a Component City to be Known as the City of Talisay" (PDF). House of Representatives of the Philippines. 11 February 1998. Archived from the original (PDF) on 4 March 2016. Retrieved 23 February 2016. ^ a b "Republic Act No. 9005; An Act Converting the Municipality of Tanauan, Province of Batangas into a Component City to be Known as the City of Tanauan" (PDF). House of Representatives of the Philippines. 2 February 2001. Archived from the original (PDF) on 5 March 2016. Retrieved 23 February 2016. ^ a b "Republic Act No. 9392; An Act Converting the Municipality of Tandag in the Province of Surigao del Sur into a Component City to be Known as the City of Tandag". The LawPhil Project. Congress of the Philippines. 15 March 2007. Retrieved 23 February 2016. ^ a b "Republic Act No. 5131 – An Act Creating the City of Tangub". Chan Robles Virtual Law Library. 17 June 1967. Retrieved 23 February 2016. ^ "Brief History". Technology Resource Center. Department of Science and Technology. Archived from the original on 28 September 2007. Retrieved 25 August 2016. It became the 50th city of the Philippines when chartered on June 17, 1967 under Republic Act 5131 and was formally inaugurated on February 28, 1968. ^ a b "Republic Act No. 9026; An Act Converting the Municipality of Tanjay, Province of Negros Oriental into a Component City to be Known as the City of Tanjay" (PDF). House of Representatives of the Philippines. 5 March 2001. Archived from the original (PDF) on 5 March 2016. Retrieved 23 February 2016. ^ a b "Republic Act No. 8593; An Act Converting the Municipality of Tarlac into a Component City to be Known as the City of Tarlac" (PDF). House of Representatives of the Philippines. 12 March 1998. Archived from the original (PDF) on 4 March 2016. Retrieved 23 February 2016. ^ a b "Republic Act No. 9398; An Act Converting the Municipality of Tayabas in the Province of Quezon into a Component City to be Known as the City of Tayabas". The LawPhil Project. Congress of the Philippines. 18 March 2007. Retrieved 23 February 2016. ^ a b "Republic Act No. 2688; An Act Creating the City of Toledo". The LawPhil Project. 18 June 1960. Retrieved 23 February 2016. ^ a b "Republic Act No. 981 – An Act Establishing the New Capital of the Province of Cavite, and Providing a Charter Therefor, and for Other Purposes". Chan Robles Virtual Law Library. 24 May 1954. Retrieved 23 February 2016. ^ a b "Republic Act No. 8755; An Act Converting the Municipality of Tuguegarao, Cagayan Province into a Component City to be Known as Tuguegarao City" (PDF). House of Representatives of the Philippines. 4 November 1999. Archived from the original (PDF) on 4 March 2016. Retrieved 23 February 2016. ^ a b "Republic Act No. 8480 – An Act Converting the Municipality of Urdaneta in the Province of Pangasinan into a Component City to be Known as the City of Urdaneta". Chan Robles Virtual Law Library. 10 February 1998. Retrieved 23 February 2016. ^ a b "Republic Act No. 8985; An Act Converting the Municipality of Valencia in the Province of Bukidnon into a Component City to be Known as the City of Valencia" (PDF). House of Representatives of the Philippines. 5 December 2000. Archived from the original (PDF) on 4 March 2016. Retrieved 23 February 2016. ^ a b "Republic Act No. 8526; An Act Converting the Municipality of Valenzuela into a Highly Urbanized City to be Known as the City of Valenzuela" (PDF). House of Representatives of the Philippines. 14 February 1998. Archived from the original (PDF) on 3 March 2016. Retrieved 23 February 2016. ^ a b "Republic Act No. 8488; An Act Converting the Municipality of Victorias, Negros Occidental, into a Component City to be Known as the City of Victorias" (PDF). House of Representatives of the Philippines. 11 February 1998. Archived from the original (PDF) on 5 March 2016. Retrieved 23 February 2016. ^ a b "Republic Act No. 8988; An Act Validating and Recognizing the Creation of the City of Vigan by the Royal Decree of September 7, 1757 Issued by Fernando Vi, King of Spain" (PDF). House of Representatives of the Philippines. 27 December 2000. Archived from the original (PDF) on 4 March 2016. Retrieved 23 February 2016. ^ a b "Commonwealth Act No. 39; An Act Creating the City of Zamboanga". Chan Robles Virtual Law Library. Retrieved 23 February 2016. ^ "Dia de Zamboanga". City Government of Zamboanga. Retrieved 25 August 2016. Zamboanga City's status as a chartered city was formally inaugurated on February 26, 1937.